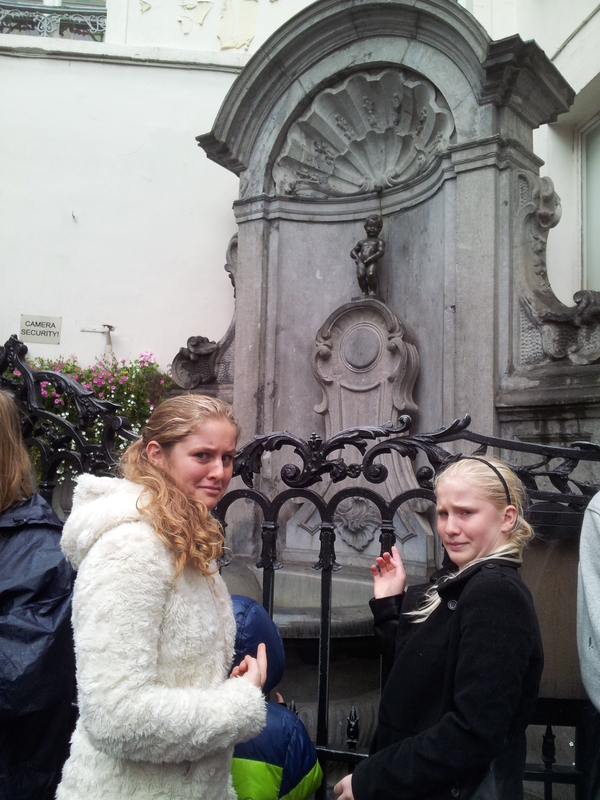 The Mannekin Pis. 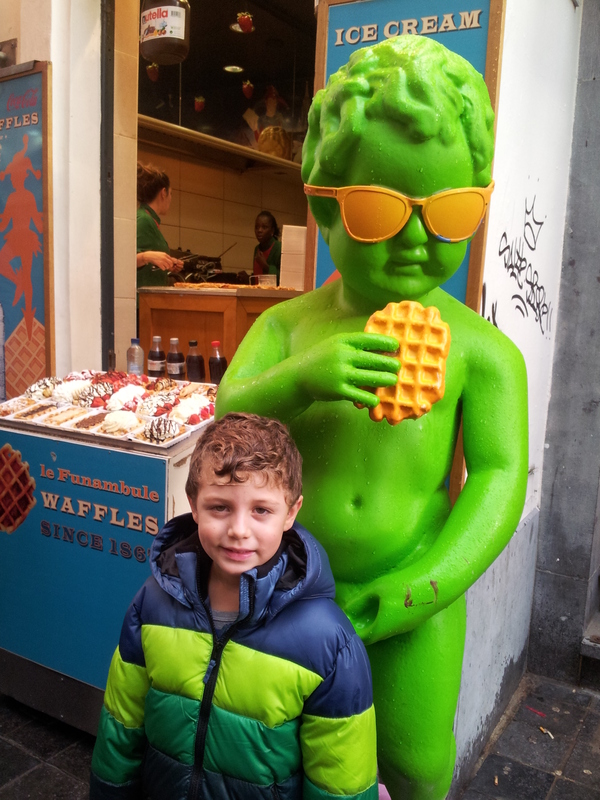 This tiny, 17th century bronze fountain statue of a little boy peeing is wildly famous and loved by Brussels so much that there are large and small replicas of him all over the city from waffle shops to trinket shops. 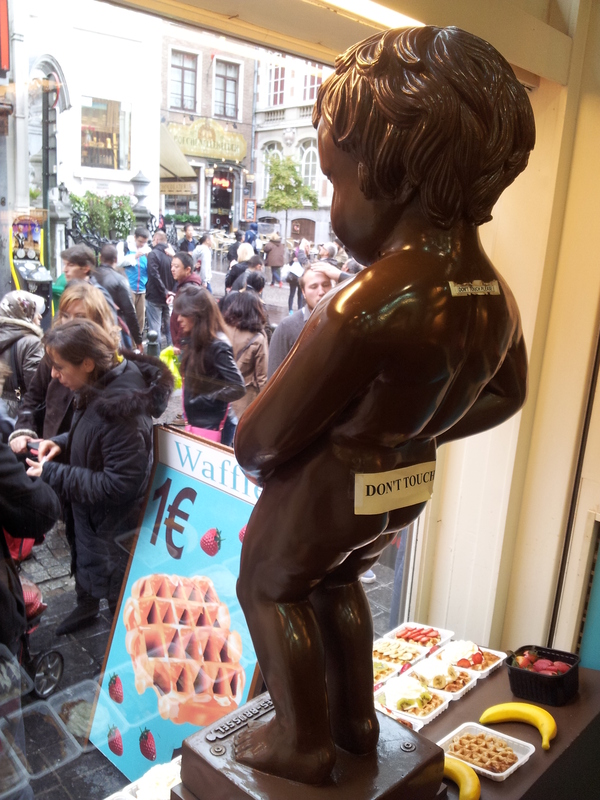 There are even Mannekin Pis chocolates for sale (does anyone else find that a bit unappetizing?). According to the Brussels website, the Manneken Pis plays a full part in the city’s annual calendar and even has an outfit for every occasion. His wardrobe ranges from Santa suits to national costumes from countries around the world. On special occasions, brass bands play and Manneken Pis is hooked up to different flavors of Belgian beer, which is poured from his fountain tip and given out to the public (again…a bit unappealing? Or is it just me?). That is so cute that they dress him up!! Love it!